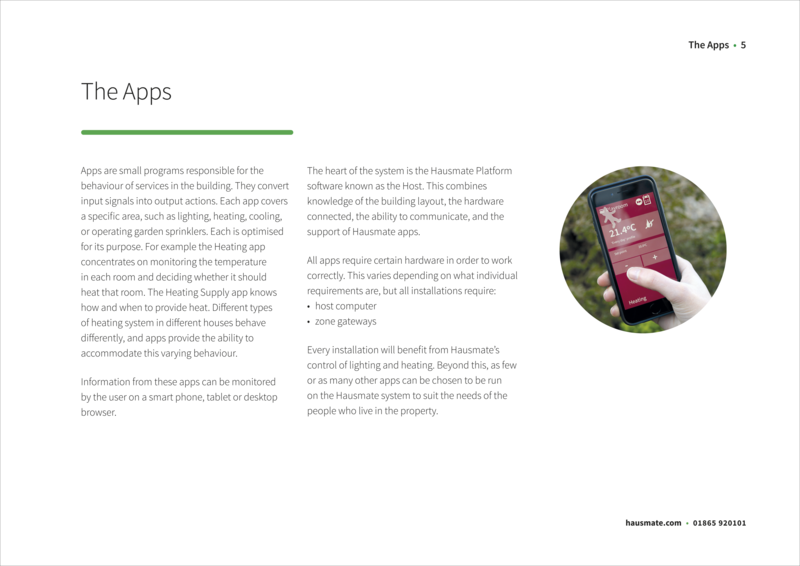 Brochure design and series of ten infographic illustrations for Atamate, home automation systems. 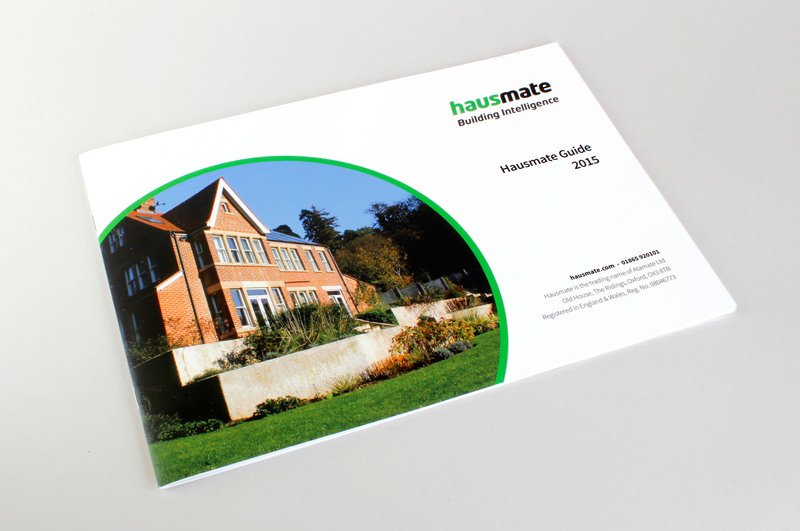 Atamate required a print brochure outlining how the Hausmate system is able to integrate with your home's existing infrastructure, and explain the real-world advantages of being able to regulate and control your home more efficiently. 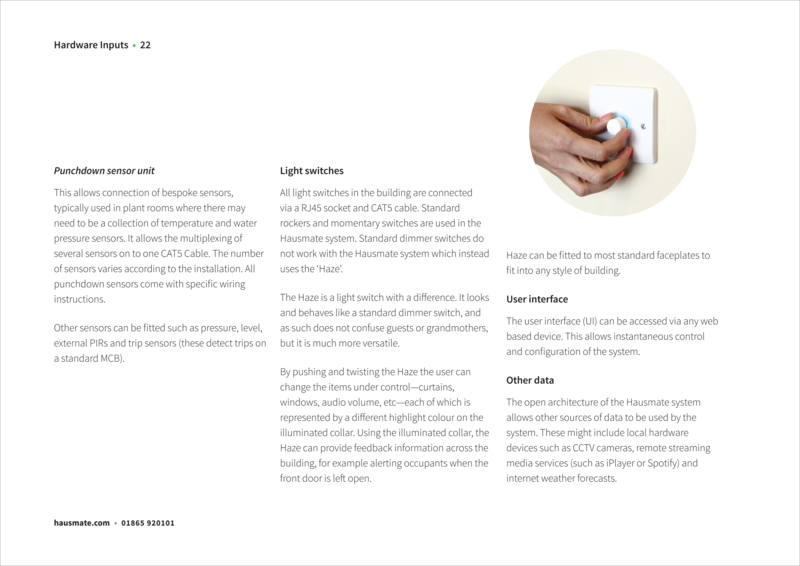 The design seeks to convey the necessary technical information in a clean, uncomplicated and accessible way. 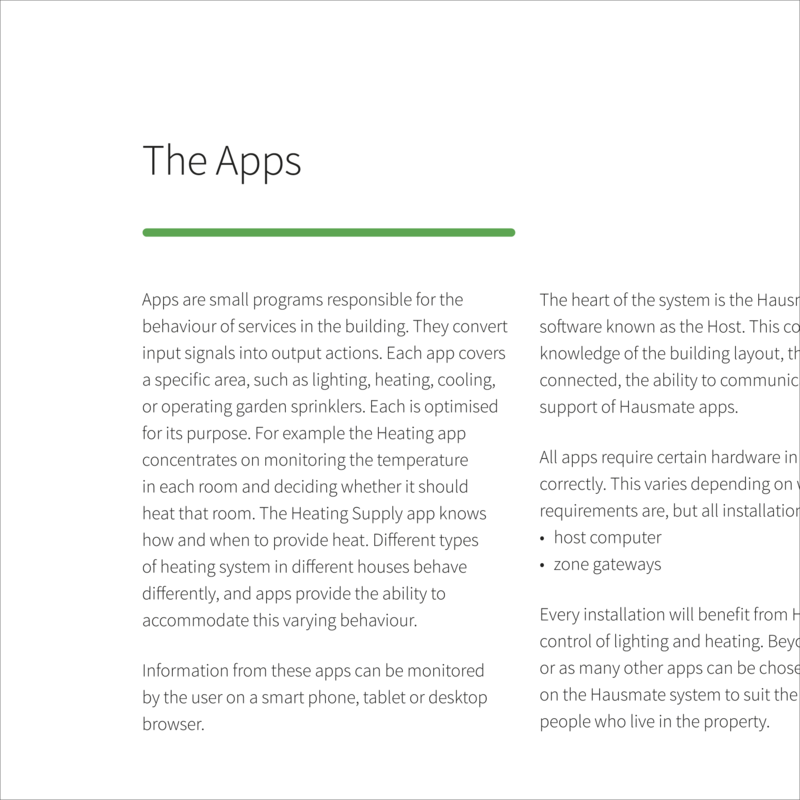 Intelligent use of white space and a suitable typeface was chosen to facilitate this; additionally, Sources Sans was a clear and readable screen typeface for the digital version of the brochure. 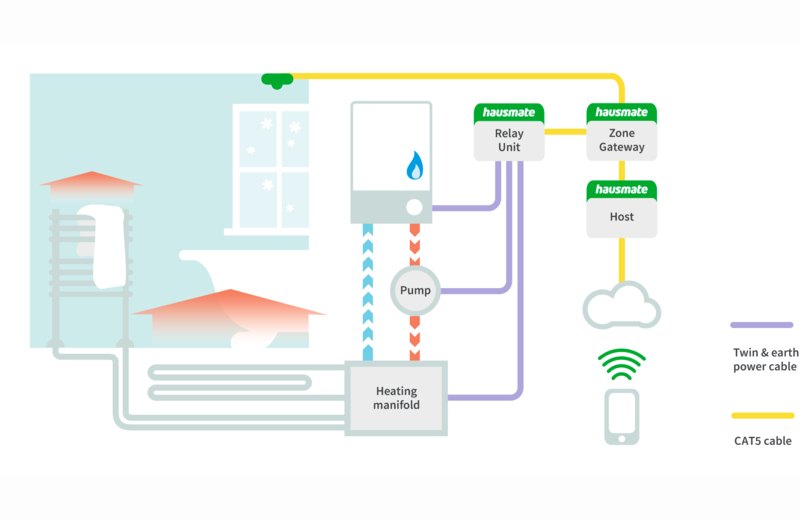 Central to the brochure are ten infographic illustrations that visualise how the Hausmate system integrates with standard home components. 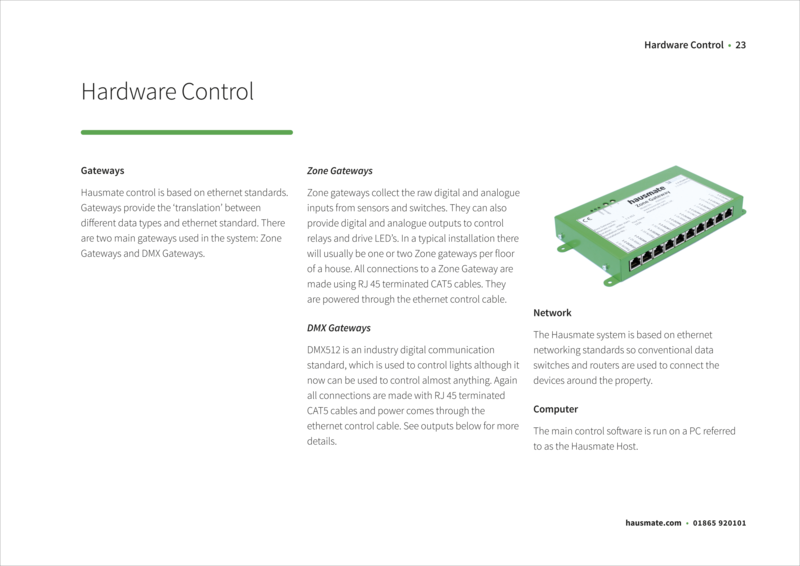 Clients needed to be informed, but not overwhelmed by confusing circuitry diagrams. 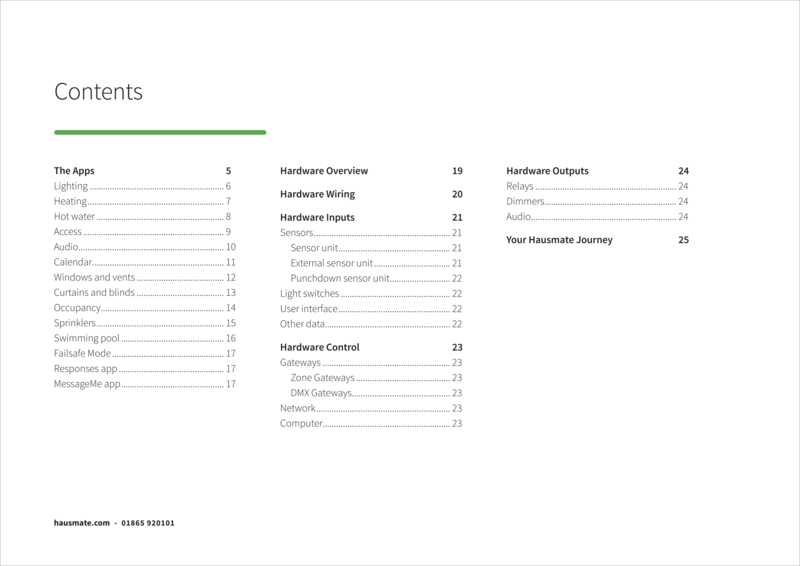 Using uniform iconography, together with a pale colour palette (with stronger tones to highlight important features) aids this understanding in a clear and accessible way. Dimensions: 210 mm x 297 mm, 25 pp. 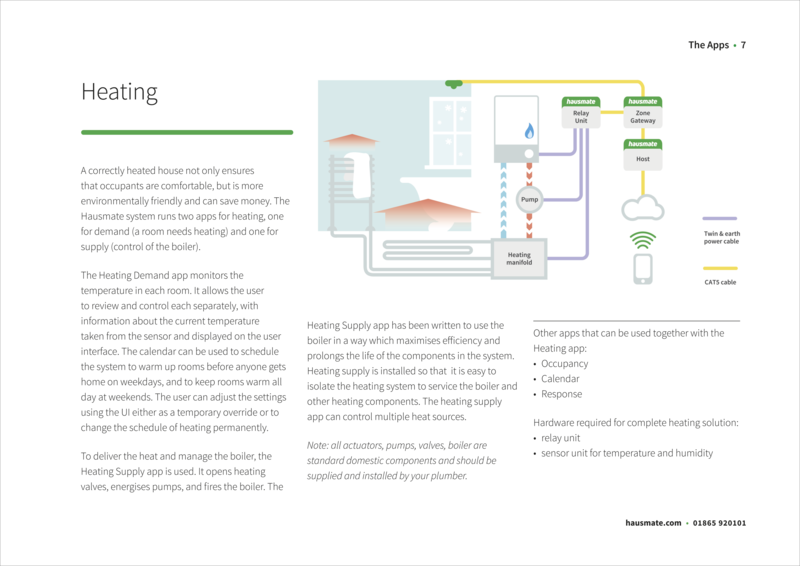 Infographic explaining how the Hausmate home automation system integrates with a standard home heating system. 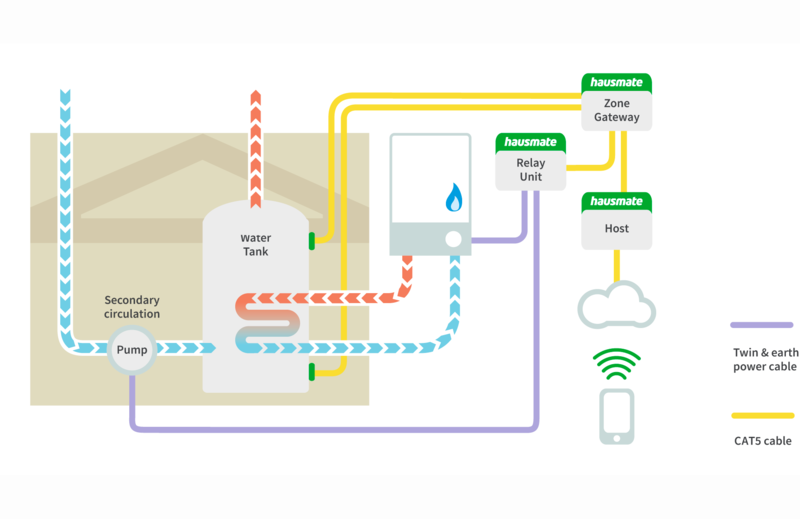 Infographic to explain how the Hausmate home automation system integrates with the boiler and hot water tank to control and regulate a standard hot water system. 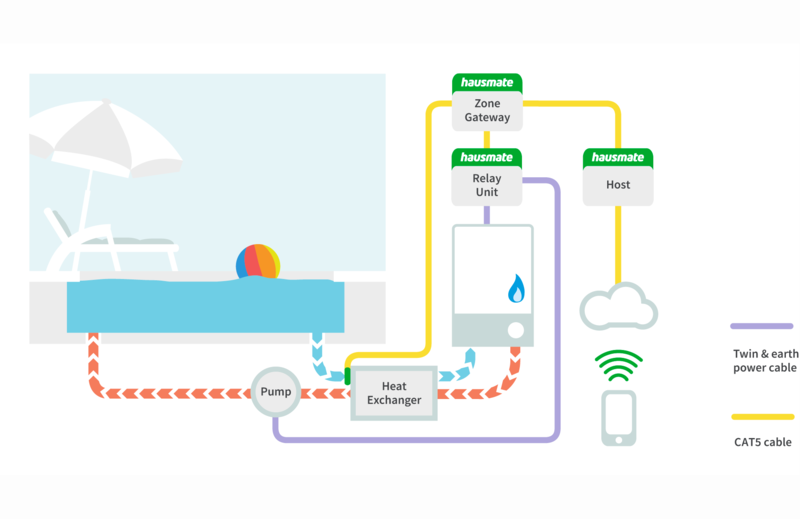 Infographic explaining how the Hausmate home automation system integrates with a standard pool heating and filter system.